The Trade Paperback edition of For After Midnight is now available to order on Amazon. Three hundred and thirty two pages of terror for only $13.99. Now, go order a copy…or two… ’cause scary tales make a great holiday gift for your loved (or hated) ones! 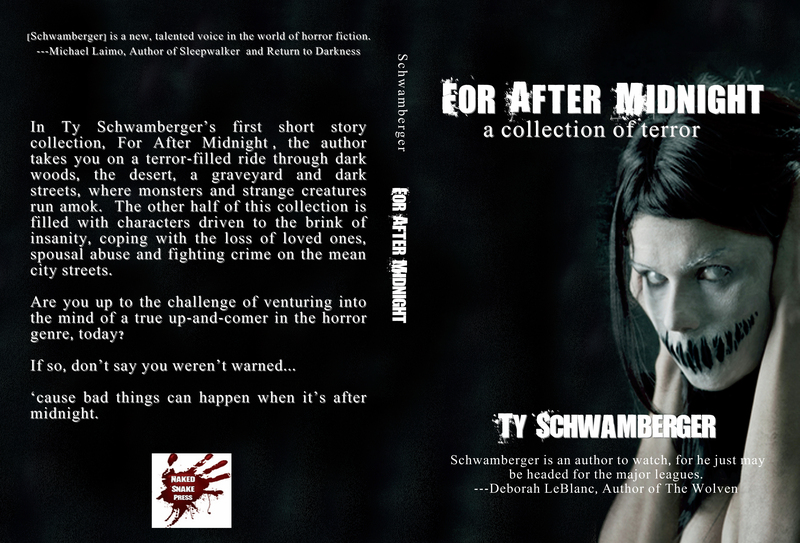 In Ty Schwamberger’s first short story collection, For After Midnight, the author takes you on a terror-filled ride through dark woods, the desert, a graveyard and dark streets, where monsters and strange creatures run amok. The other half of this collection is filled with characters driven to the brink of insanity, coping with the loss of loved ones, spousal abuse and fighting crime on the mean city streets. Are you up to the challenge of venturing into the mind of a true up-and-comer in the horror genre, today? ‘cause bad things can happen when it’s after midnight. Next Post The Fields — Pre-Order Event!